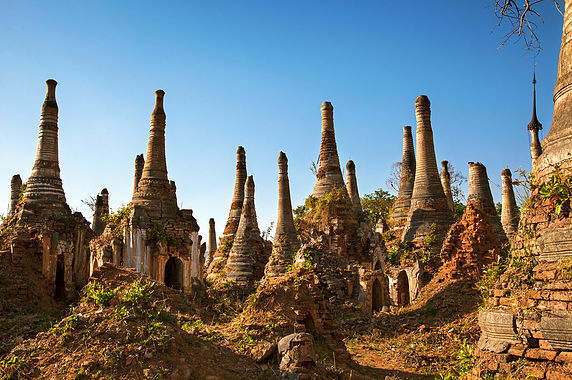 There are 1600 ancient stupas surrounding the Shwe Indein Pagoda. A Buddha image has enshrined at a whitewashed stupa, which is on the summit of a hill. The pagoda hill is quiet and calm. One could feel the pleasant cool breeze with the sweet rings of the bells hanging at the umbrella of the stupa.